On this episode our hosts Jason of ATLANTIC SCREEN CONNECTION and Jairo of THE TRUE BROMANCE FILM PODCAST talk about their hopes, dreams, fears, and axieties for the latest chapter in the STAR WARS saga: THE LAST JEDI. But what they don't talk about are any of the early reviews that have come out about this film. The subject for this episode is Critic Proof Cinema, which ranges from fan favorites such as HARRY POTTER to film snob untouchables like PAUL THOMAS ANDERSON. How do we approach movies that we have already developed such an affinity for? 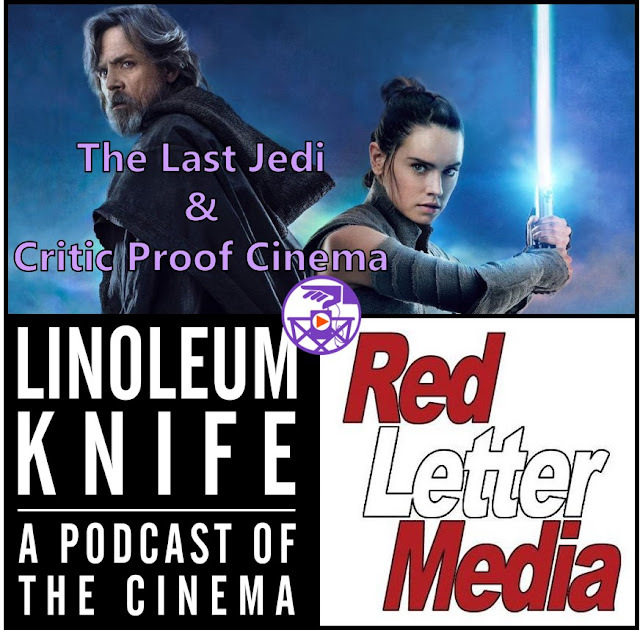 To help answer that question we recommend two more great movie podcasts in LINOLEUM KNIFE and RED LETTER MEDIA's BEST OF THE WORST.